I had never heard of Kickstarter prior a campaign aimed at raising funds for a Veronica Mars movie. The campaign was a huge success and raised it’s $2 million goal in less than 12 hours and have currently raised $5,702,153 from 91,585 backers. This clearly shows that Kickstarter is a viable option for raising funds in Hollywood. I thought it was a genius idea when Veronica Mars creator Rob Thomas went to Kickstarter to fund the movies that fans have been wanting since the series was cancelled in 2007, but as more people in Hollywood began truing to crowdfunding campaigns it began to lose its appeal to me. 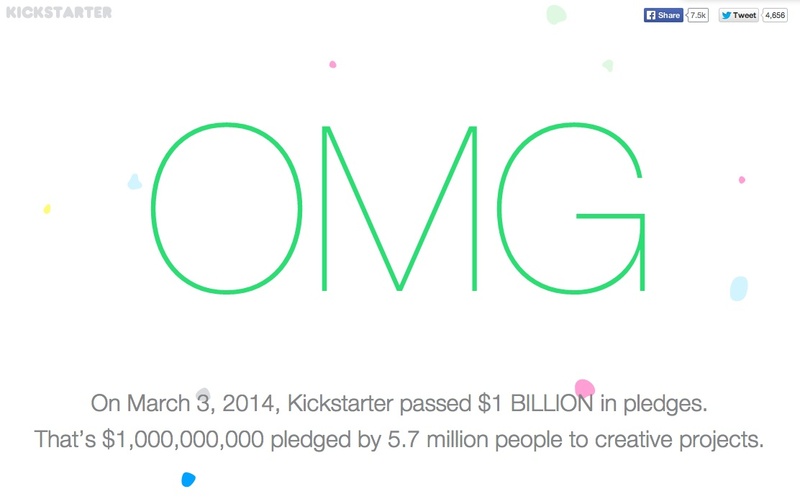 Kickstarter has passed the $1 billion mark in pledges and while I still have mixed feeling about it being used by Hollywood or celebrities I loved exploring the site and seeing what people are seeking funding and wish I had an idea worth sharing on the site. One of the projects that I stumbled upon that piqued my interest was that for SipSnap, a simple, spill-proof, kid’s drinking lid that fits any cup, anytime, anywhere. I like that the SipSnap fits on any cup because it saves the hassle of trying to match up cups with lids. SipSnap has tow versions of their product, the SipSnap TOT that features a durable, chew-resistant spout for little ones to drink from and the SipSnap KID which features a hole for a straw. The straw hole is flexible, because straws are different everywhere you go. SipSnap will only be funded if $28,000 is pledged by April 6, 2014 and they have already received $11,087 in pledges from 308 backers. As I continued exploring Kickstarter I was drawn to all the books that were seeking funding, particularly children’s books. 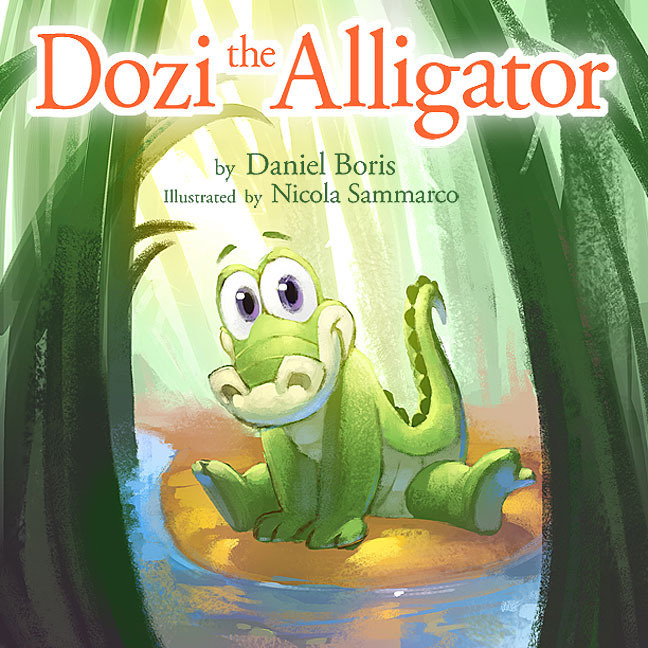 One that immediately caught my eye was for a children’s book called Dozi the Alligator. The front cover of the book caught my attention and after reading the description for the book that details it as the tale of a lovable alligator who secretly stows away with a family after a chance encounter during their Florida vacation it seems like it is going to be a cute book for younger children. The project had 25 days until it ends but it has already passed it’s $4,000 goal and currently has $4,535 pledged from 88 backers. It is easy to lose time exploring Kickstarter because there are so many interesting and creative things out there and it’s nice to know that you can play a part in helping someone achieve their goals. I found it strange that celebrities would need KickStarter. Don’t they have enough money to fund their own projects?! The projects you stumbled upon both seem like good projects. I’m not a parent, but I imagine the lids that fit all cups would save some hassle. Now if I ever have a great idea that needs to be funded I know where to turn! I think Dr. Selepak made the same point in reference to James Franco’s project. It’s a good point but I imagine that actor and actresses who go that route frame it as being a film for the people, the fans who made their careers possible, in contrast to the big movies that move forward because they satisfy the lowest common denominator. Those cup lids seem like a good idea but they look like they would get manky pretty quickly. I completely agree about celebrities using Kickstarter, but I think that because it is celebrities backers are going to expect a lot if they contribute to the campaign. I wish that I had a good idea to put on Kickstarter, but it’s good to know that the site is there if one of those ideas ever come to me. Hi Emily, I had never heard of Kickstarter until this project. I really liked your post. I too thought it was very odd that celebrities could use Kickstarter. As Lauren stated, they should have enough money to fund their own projects! I LOVED the first project that you highlighted in your post. I am not a mom yet, and I have plenty of time before I will be one, but I think that is such a great idea for kiddos! Especially at restaurants or on the go when things can often turn messy. I hope that project gets funded and is able to be launched! Great post. I worked as a nanny while doing my undergrad and carrying around numerous cups for different kiddos drove me crazy especially when I had to wash them and then try to match up all the various parts so the SipSnap definitely appealed to me so I was happy to see that since I wrote my post they have past their pledge goal. Hi Emily, SipSnap looks neat! And I like saying the name. How adorable is Dozi?! I wrote about him in my post, too. I’m glad the book exceeded it’s goal and I hope it’ll be successful. I agree that I spent much more time on Kickstarter than I thought I would… One project or topic would lead me to another, then another.. I also found out about Kickstarter when the Veronica Mars project was funded so quickly. I also heard about it again when Zach Braff went to get his “Wish You Were Here” movie funded. Like Casey and Lauren said, these celebrities probably have the money to fund their projects. However, they probably don’t want to take the risk themselves in case the project is a flop. So they spread out the risk of investment on several thousand fans, thereby minimizing the risk for everyone. That Dozi book is pretty cute! If I were to ever use Kickstarter in the future, it would probably be to get my future novel published. I just have to finish writing it first!